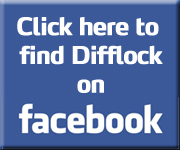 Difflock :: View topic - Can Lubricant oil used as diesel fuel? Can Lubricant oil used as diesel fuel? Posted: Fri Dec 28, 2007 12:35 pm Post subject: Can Lubricant oil used as diesel fuel? How hard is it to clean and remove the dirt and additives from used engine lubricant oil so that it can be used as diesel fuel? What else would need to be done to it before using it as fuel? I assume the soot and dirt can be removed by filtering but what about the other stuff? Are the multi-grade and detergent additives particularly bad? What will happen if some (or all) are left in the oil. Any comments or clicky links to other places most welcome. Running an engine on waste engine oil is really really bad, There are all sorts of additives and Heavy metals that will be chucked from the exhaust pipe. I'm not sure if it can be "cleaned up" easily enough to make it viable. I didn't think it wouldn't be easy otherwise everyone would already be doing it, nor did I imagine the additives were particularly 'nice'. I'm not sure about heavy metals though, where did they come from? The wear rate of bearing shells is so low that any heavy metal content from there will be tiny - nowhere near the levels of lead which used to be added to petrol. Right now for some more of what got me thinking this way. It has been reported in the local paper that the waste oil collected at recycling centred throughout Norfolk will be operating an engine on waste oil to produce electricity. This might have just been cooking oil, but the suggestion was it was waste engine oil too. I know this application is a bit different and a scrubber could be put on the exhaust, even so it got me thinking. I would like to understand exactly what the problem is. What additional chemicals are in the oil? What will be produced by combustion? Has anyone done a proper analysis, or is the "really, really bad" bit just hearsay? You can buy the purpose made burners for heating with Waste engine oil. 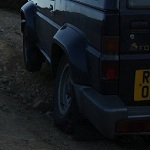 Coking is the main issue, as anyone with an old oil burner knows, all that soot on your back bumper. but going by our teacher it werent the cleanest thing in the world and he'd set it all up to specifically do it. Just in case anyone thought I want to burn dirty or dangerous fuel, I don't - that is NOT my intention. If it is to be used as fuel I would need it to be clean, which is why I would like to understand what is in waste oil and how to, or even if it is possible to, make it safe. Mind on, central heating / workshop heaters will be gas turbine engines, these run a lot hotter and a lot faster than internal combustion engines, and get a much more complete burn too. I wouldn't be suprised if the genny you refer to was a gas turbine too. I have a friend who works with big (megawatt sized) engines for landfill gas recovery and he regularly gets oil analysis done in order to know when it needs changing. They have some odd contaminants, but their biggest concern is normally the silicon level, but they get abnormally high levels becasue from the gas. 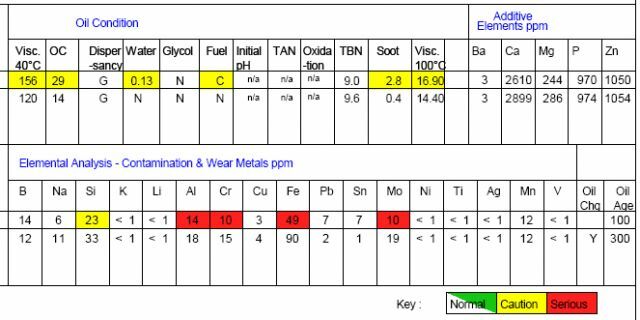 Notice the additives (top right) and the very low heavy metal contaminants. This is only the first part of the equation though, the important bit is what happens after combustion? What is produced at the exhaust and what are the dirty/dangerous components? If we can find that then we will know what needs to be cleaned out of the waste and what can safely be left in. Then we can look at how to do it, or even if it is possible. A. You can use waste oil to power an engine. Q. What type of waste oils can you use? A. Any mineral based lubricating or industrial oils. Q. Does it not also cover vegetable oils? A. No, vegetable oils are not covered by this exemption. Q Where can you use the waste oils? A. In any engine of the listed vehicles provided that no more that 2,500 litres per hour is used. The "listed vehicles" seems to be the ones you register with them, rather than from a list of approved vehicles. Interestingly, burning Veg oil in your car carries no regulation. However say you are running a stationary generator on it in your garage you need to Inform the EA because its classed as incineration of waste! My van (Renault Master 2.8 DCi T35d) didn't run too well on engine oil when the turbo bearings went on the M1 a few weeks back, covered all 6 lanes in dense white smoke, its a wonder there wasn't an accident, idled well though, too well in fact had to stall it before it threw a rod or similar. we had a scania do that in work she'd been on her side and filled the intercooler with oil, exploded the clutch she revved that hard, i missed it but by all accounts it was a very big bang!!!!! Dribbling oil in from damaged bearings is quite a bit different from the controlled spraying of atomised oil in at the right time in the cycle. It might explain why it didn't run too well. Centrifugal filtering is the way to go, big engines have done this for aeons. Am I right in thinking the TD5 has a centrifugal filtering system? I'm still interested to know exactly what the harmful/dirty/nasty stuff is that be generated from used lubricant oil. There seems to be a lot of opinion that it is bad, but I'm yet to find out exactly what the 'bad' actually is. Yeah, starting a casualty vehicle when they've been the wrong way up is a big no-no. Also, the intercooler needs to be drained after changing a failed turbo, for the same reason. Usually if you try and start it, the engine will hydraulic lock and just bend someting/sieze, but its possible for sump oil to drain through crank/cam case breathers into airboxes causing the engine to run away. Which always results in a bang. So our rule is, don't start 'em. That too goes for cars that have toppled over, oil runs from the sump down the oilways, floods the rockerbox, seeps through the breathers, into the airways and in turn into the inlet manifold. Smiley face Transits have 'em on the alternators don't they? Thought that was the Vacuum pump? As said, ship engines had them fitted, so did some russian tractors etc. A good friend of mine runs his old 90 Landie on Tellus 32 hydraulic oil. And I don't mean in the engine as a lubricant, it actually burns and runs ! needless to say, he don't pay for it ! No, not used, brand new Tellus, engine ran great on it. No smoke, smell, or anything.